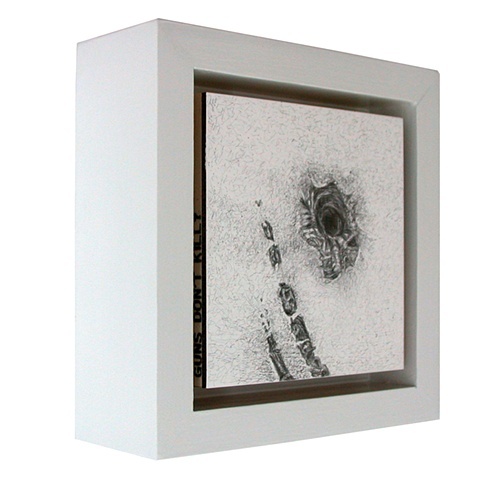 Begun in 2011, the GDK (Guns Don’t Kill?) 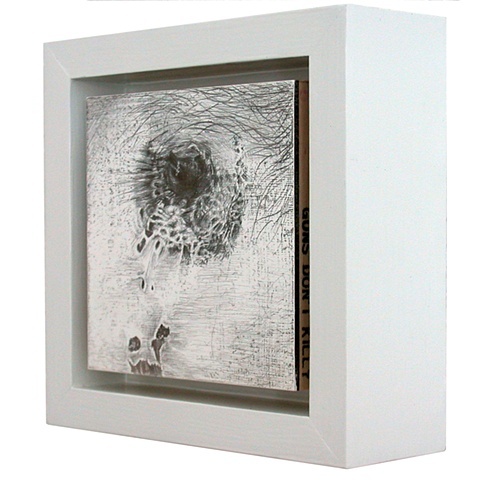 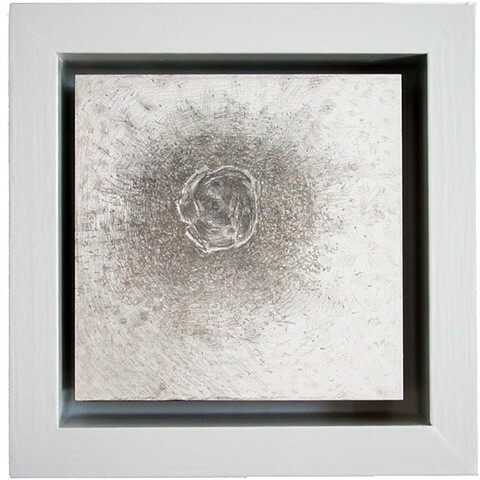 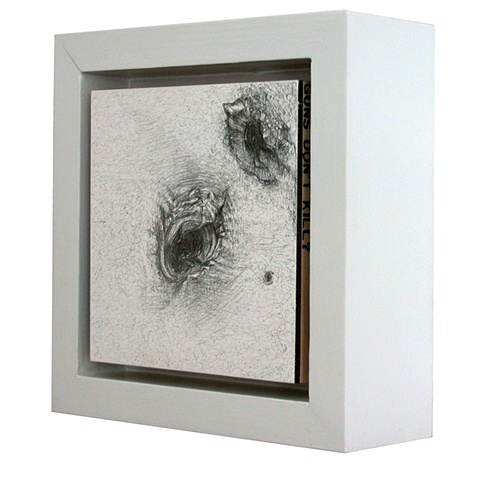 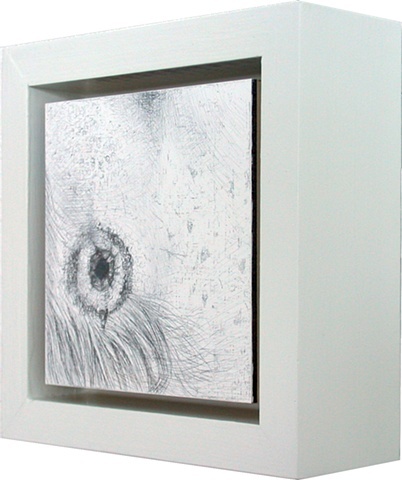 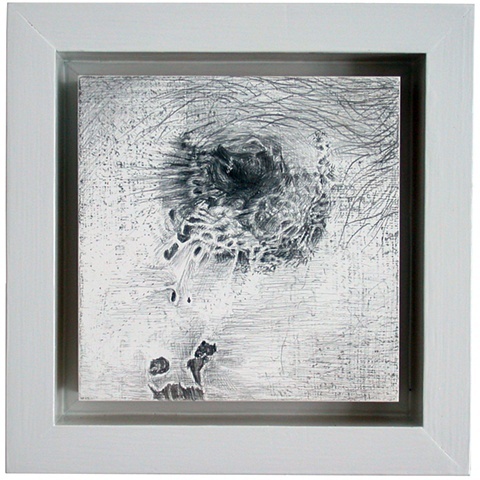 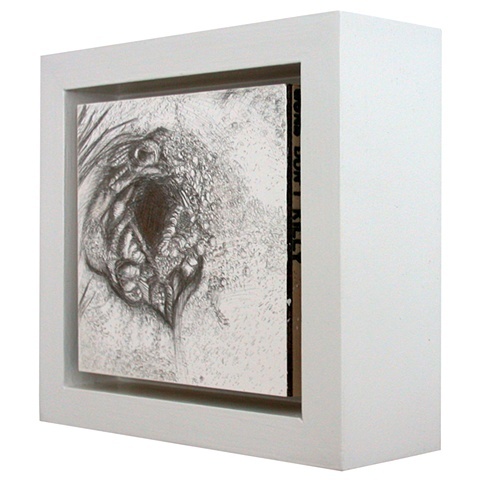 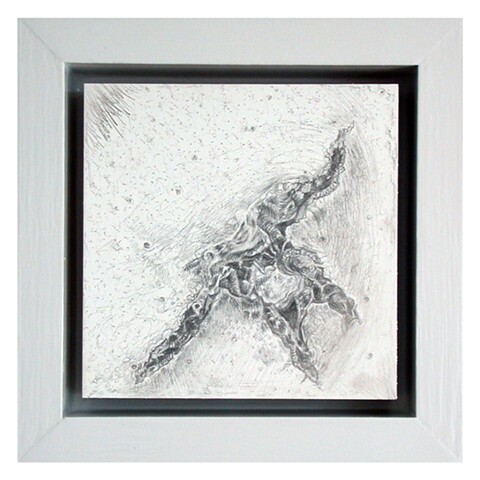 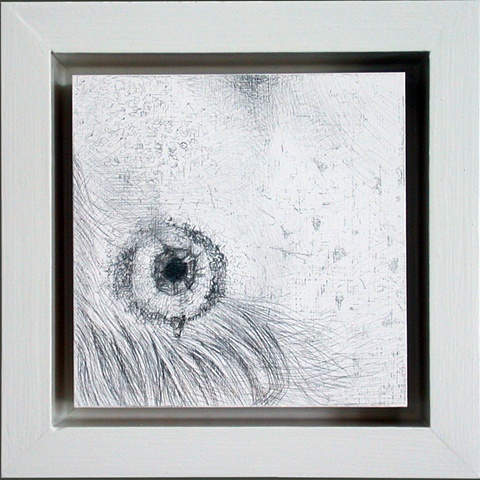 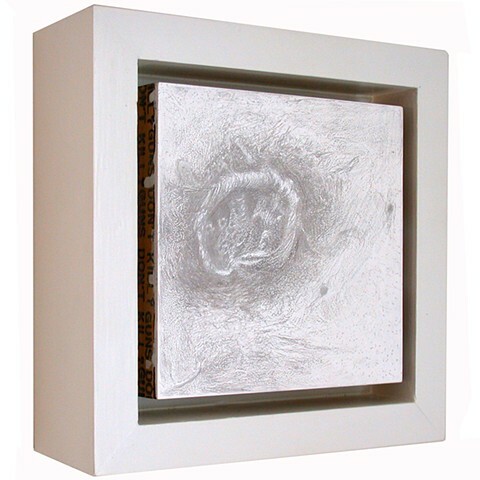 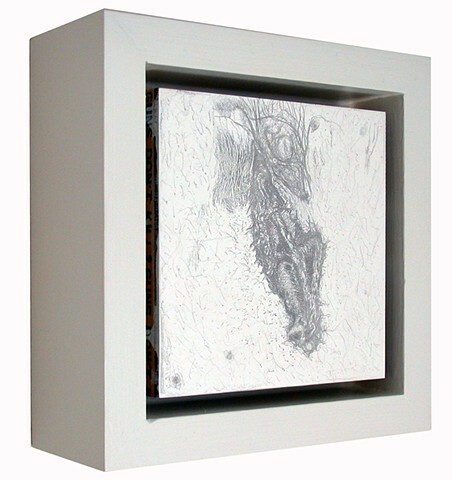 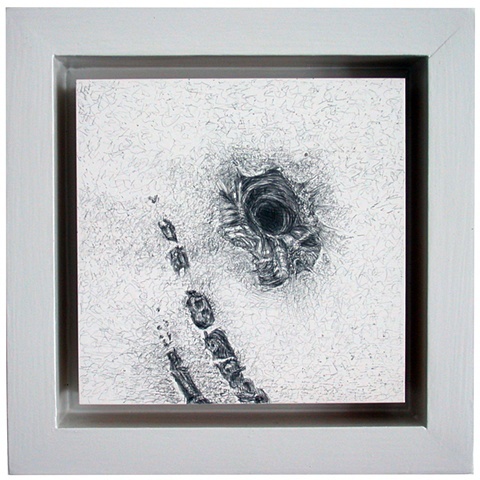 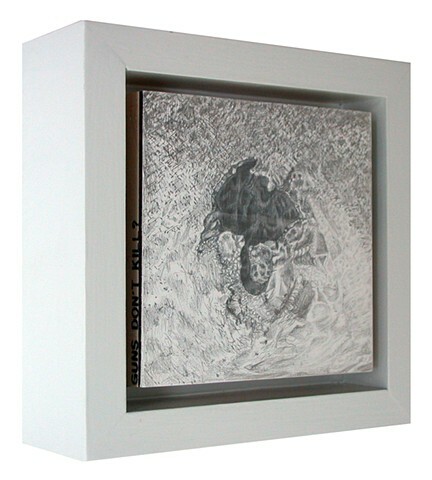 series is a continuing exploration of gun shot wounds in the silverpoint medium. 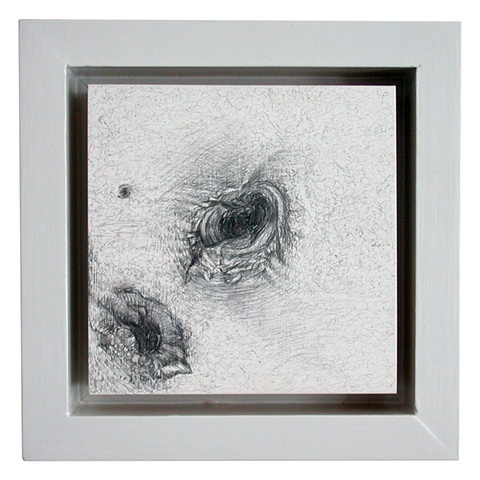 Repeatedly punched, rolled, stabbed and drawn, silverpoint is used non-traditionally to create marks and works reflective of violent circumstance. 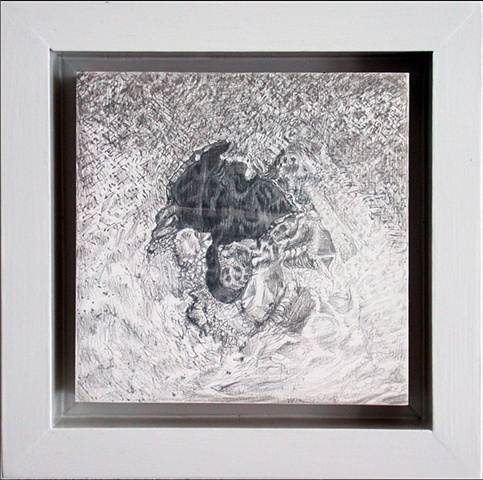 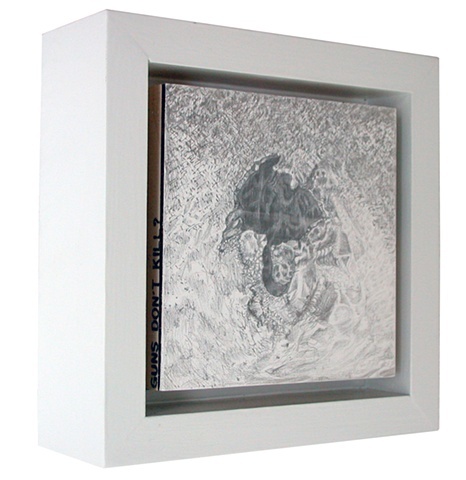 In this series, embossed silver text, Guns Don’t Kill?, is found only with close examination inside a white floater frame. 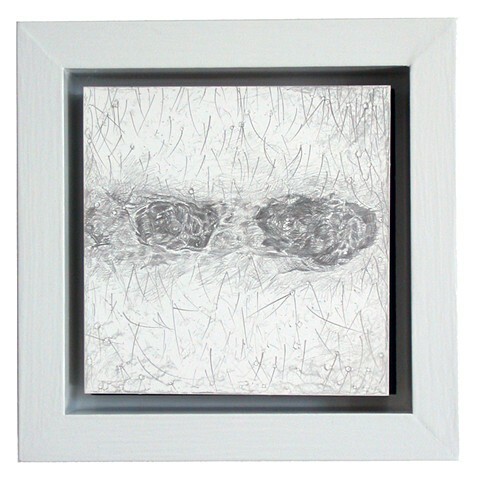 Small, each work is intended for individual contemplation. 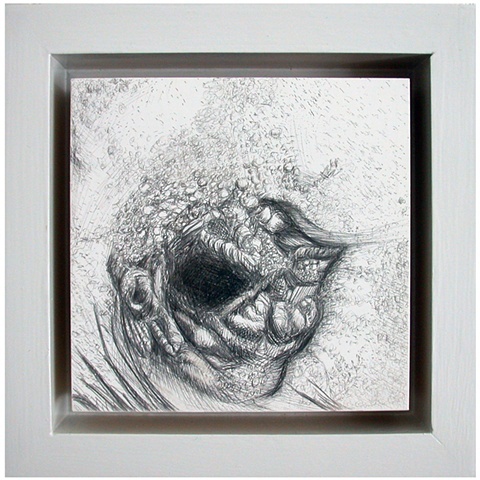 7.25" x 7.25" x 2.5"